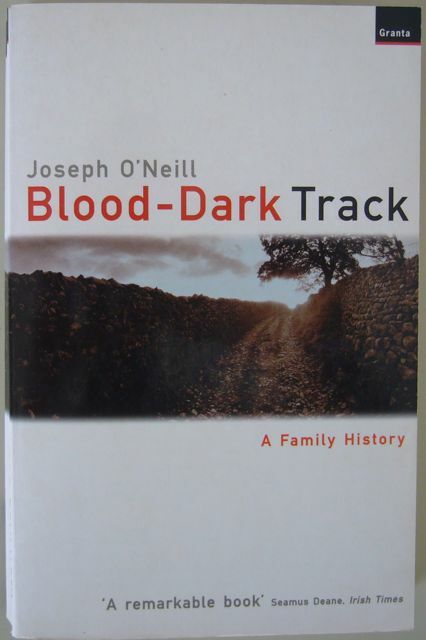 I picked up a copy of Joseph O’Neill’s Blood-Dark Track: A Family History (2001) in early 2007. But I really can’t tell you why. I don’t mean that I regret buying it, far from it, but I really don’t know why I chose that book, and not another. Of the dozens, the hundreds, the thousands of books to choose from, why, at bottom, do we choose certain books?  Front cover of Joseph O'Neill's Blood-Dark Track, with a quote from Seamus Deane (London: Granta, 2002). Perhaps I had chosen O’Neill’s book because of the great title (which turned out to be from Yeats’ “Hound Voice”). Perhaps it was because I have relatives called O’Neill and I felt some kind of connection. Perhaps it was because the quote on the front cover – “A remarkable book” – was from Seamus Deane, writing in the Irish Times. I had read and enjoyed Deane’s Reading in the Dark, and if he found it remarkable, perhaps I would, too. And indeed, I did, so much so that when O’Neill’s Netherland came out to rave reviews in 2008, I wanted to get a copy. The edition I came across, however, featured an endorsement from Jonathan Safran Foer on the front cover, just beneath the title: “Netherland“, Foer claimed, “is suspenseful, artful, psychologically pitch-perfect, and a wonderful read.” Seeing that, I could not bring myself to buy it. Childish as it may sound, I just did not want a copy with an endorsement on the front cover from Foer. The book I didn't buy: Joseph O'Neill's Netherland, with a quote from Jonathan Safarn Foer on the front cover. Why not? Because my interest in novels with pictures in them had led me to read Foer’s Extremely Loud and Incredibly Close when it came out in 2005. And suffice it to say that I did not like the novel. If the guy can’t write, I thought, rightly or wrongly, he probably isn’t much of a reader either. Extremely Loud and Incredibly Close, too, had come with an endorsement, from Salman Rushdie. Luckily, it featured at the bottom of the front flap of the dust jacket and so wasn’t in plain sight. It reads: “Pyrotechnic, riddling and, above all, extremely moving. An exceptional achievement.” Having read the book, here, too, suffice it to say that I am not in any rush to purchase books endorsed by Salman Rushdie. 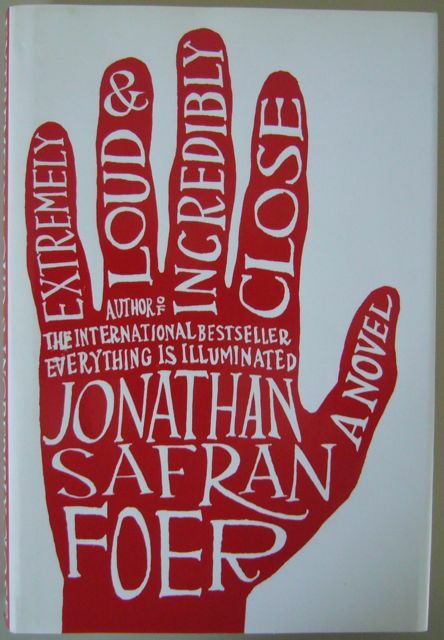 Jonathan Safran Foer's Extremely Loud and Incredibly Close, with an endorsement not seen here from Salman Rushdie on the front flap (London: Hamish Hamilton, 2005). 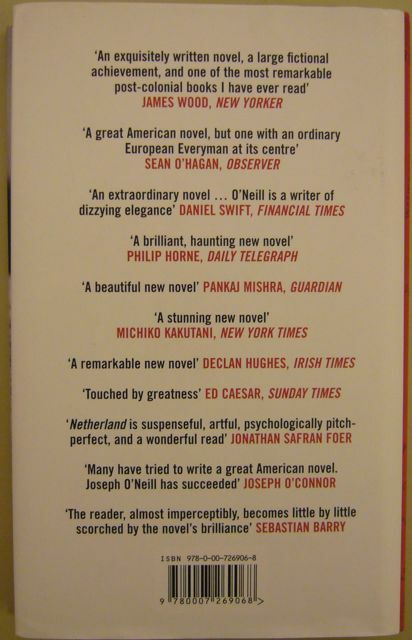 Back cover of Joseph O'Neill's Netherland, with endorsement by Jonathan Safran Foer, among others (London: Fourth Estate, 2008). This entry was posted in Jonathan Safran Foer, Joseph O'Neill, Uncategorized and tagged Jonathan Safran Foer, Joseph O'Neill, Salman Rushdie. Bookmark the permalink.